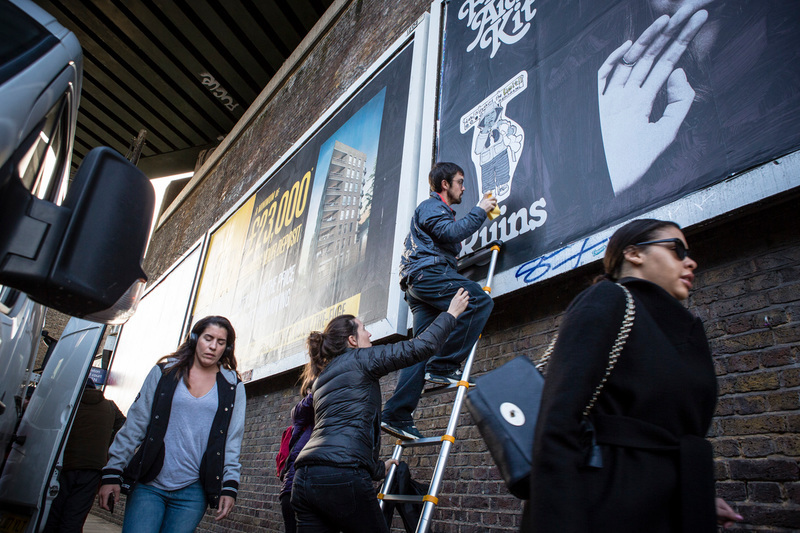 Subverted billboards in Brixton, London. 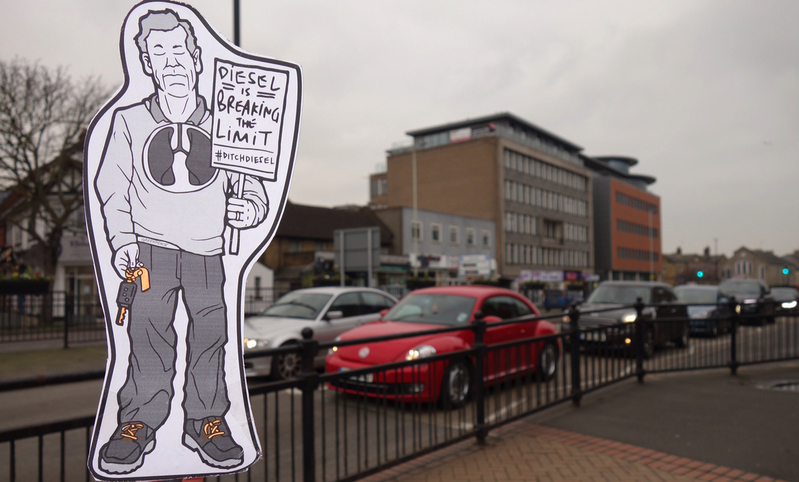 As the UK broke 2018’s annual air pollution limits only 30 days into the year, Greenpeace revealed that hundreds of billboards across the country have been creatively subverted with illustrated images of people holding hand-written placards reading ‘Diesel is breaking limit’, referring to this now annual event. The six different illustrations, by creative agency Blackcurrent, are based on the stories of people worst affected by air pollution from cities across the UK. Yesterday London reached the UK air pollution limit. 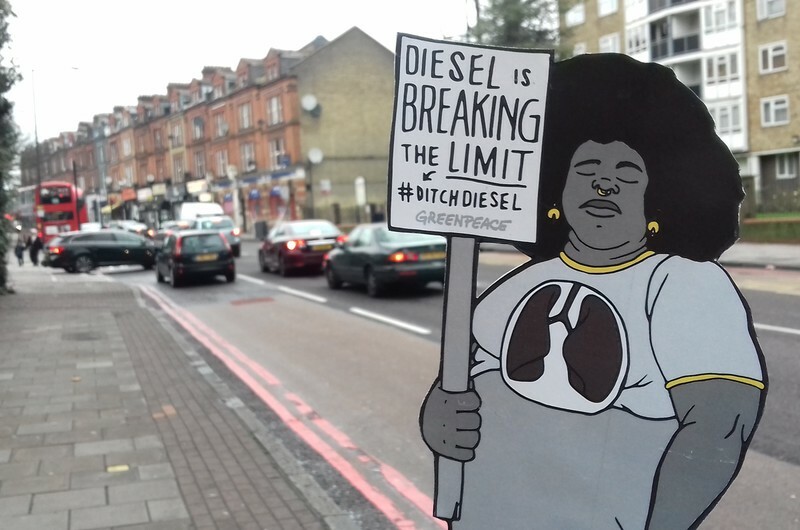 On Brixton Road, levels of nitrogen dioxide breached the cap of 200ug/m3 18 times, the maximum EU allowance for breaches annually. So in one month, we’ve reached the limit for the entire year. This event is now an annual spectacle highlighting Government’s abject failure to tackle the toxic air cloaking our towns and cities. 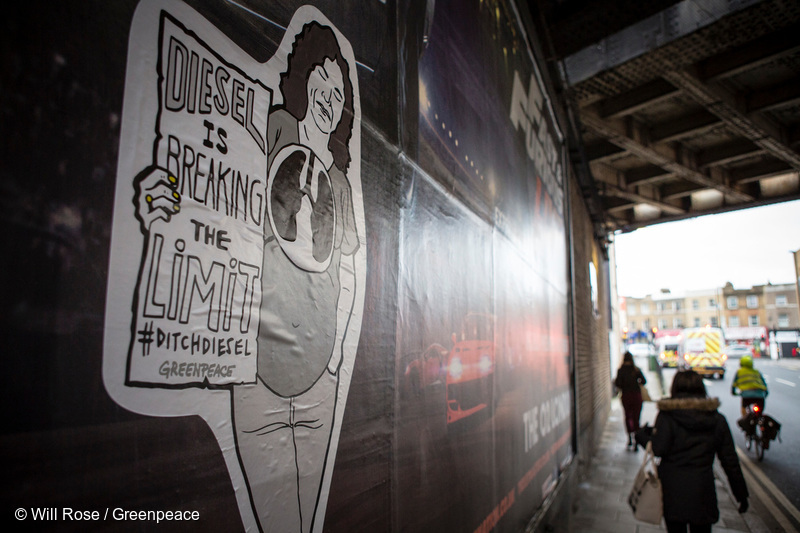 So we took the stories of affected people and plastered them on billboards in six UK cities with high levels of pollution. 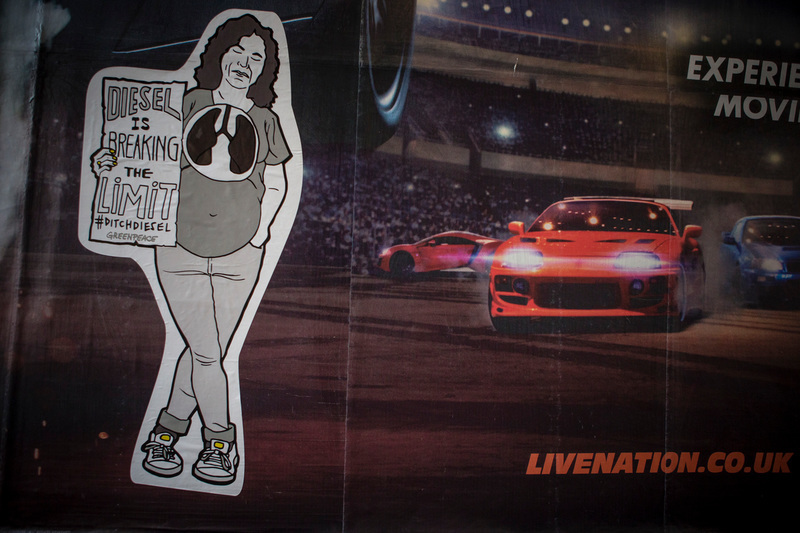 Six characters representing people most affected by air pollution appeared on large outdoor different advertisements including car ads. 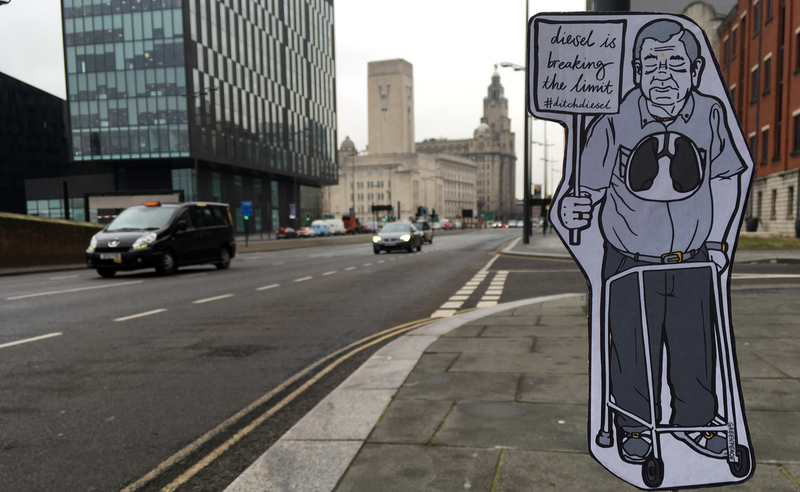 The illustrations are by creative agency Blackcurrent, and the characters each have their own story to tell about how air pollution affects them and their lives in London, Manchester, Glasgow, Bristol, Birmingham and Sheffield – the six cities where their images were pasted up on billboards beside busy roads. 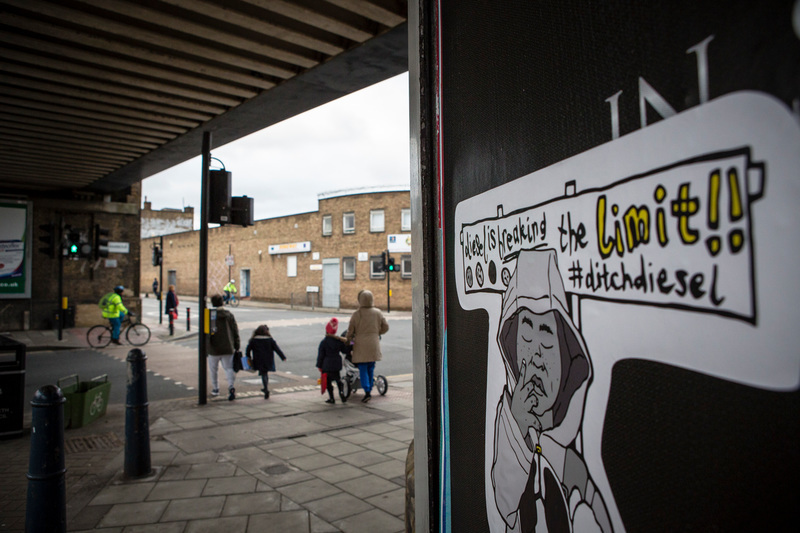 At the same time, Greenpeace groups in London, Poole, Southampton, Oxford, Huddersfield, Liverpool, Croydon, Chelmsford, Bristol and Bath took the six characters out onto their own polluted streets to highlight the impacts of air pollution on all our health. Meanwhile 37 of the UK’s 43 air quality zones don’t meet EU nitrogen dioxide limits, all of which should have fallen within safe limits by 2010. People across the country are breathing illegal air. Hundreds of thousands of people are clamouring for clean air from parents and teachers to doctors. Nitrogen dioxide has been linked to lung disease, respiratory problems and stunted lung growth in children. The government’s plan to phase-out petrol and diesel cars by 2040 means nothing to people whose lives are affected now. Car companies have the power to turn the tide by making affordable electric cars and ditching diesel for good. 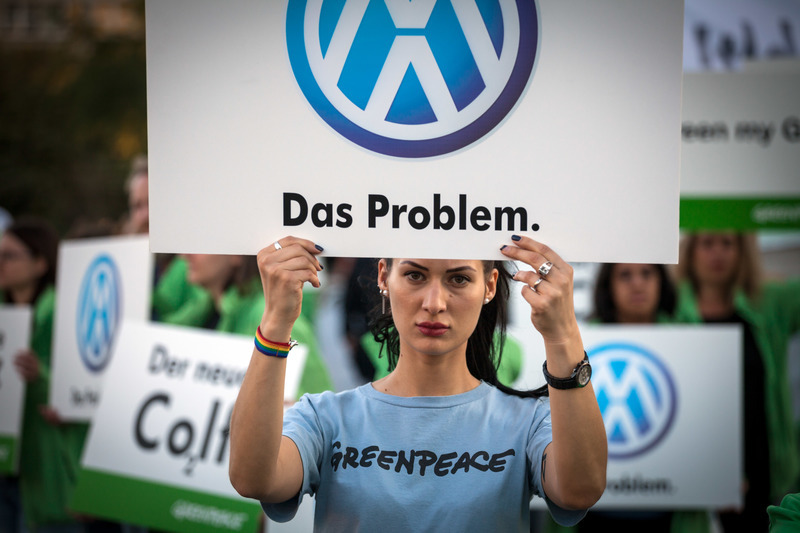 That’s why we’re calling on Volkswagen to take the lead. 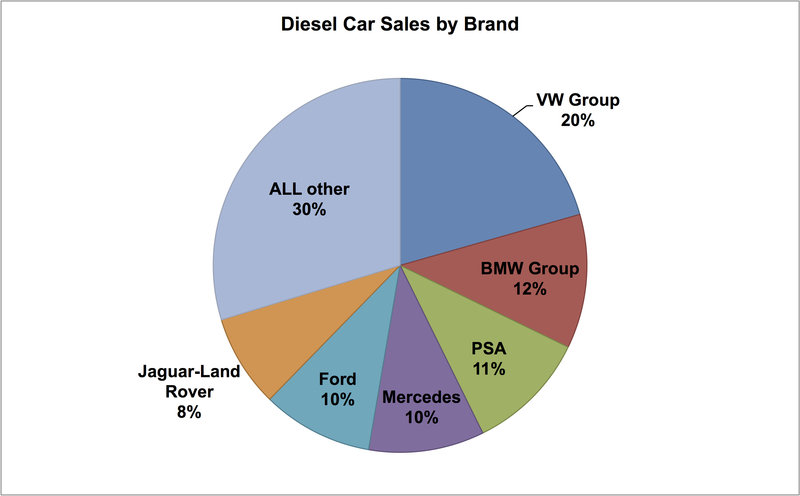 VW Group puts the most diesel cars on UK roads, and its the company that owes consumers and the public the most after it cheated emissions tests, letting its cars spew out more toxic air pollution than they should. As the biggest car manufacturer in Europe, it has the opportunity to lead the way – but right now it’s clinging on to diesel. So sign the petition calling on VW to ditch diesel and go 100% electric now. VW has the money, the engineers, and the tech know-how to make sure our cars are clean and safe. 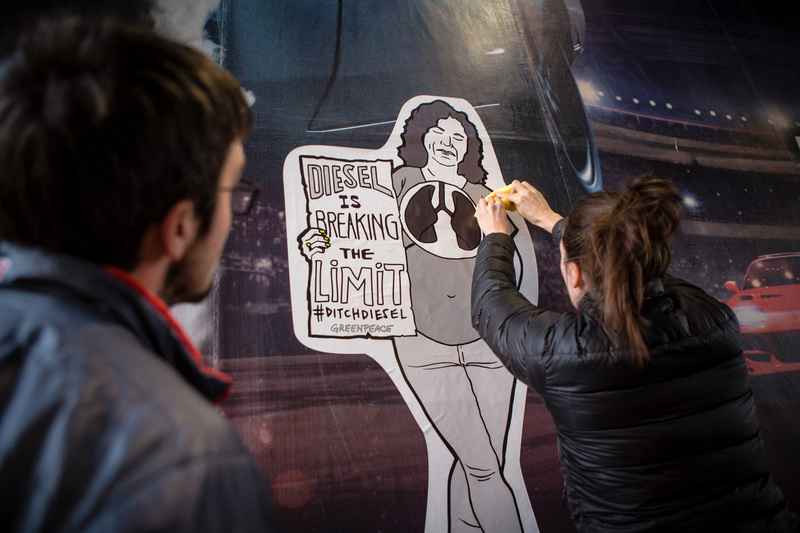 It’s up to us to demand it of them: sign the petition and call on VW to ditch diesel.